Inauguration of: Kolkata – Ajmer Weekly Express (19607 / 19608), Shalimar – Patna Tri- Weekly Duronto Express (22213 / 22214), Howrah – Mysore Weekly Superfast Express (22817 / 22818 ), Santragachi – Mangalore Weekly Superfast Vivek Express (22851 / 22852 ). Introduction of : Shalimar – Secunderabad Weekly Express,Shalimar – Udaipur Weekly Express and Santragachi –H sahib Nanded Weekly Express Train. Mamata Banerjee claimed that these trains were approved by herself in the last Railway Budget when she was the Railway Minister. Train Name : Kolkata – Ajmer Weekly Express (19607 / 19608): - This pair of Trains will run regularly on and from 27/02/2012 from Ajmer Jn. as Train No. 19608, will leave on every Monday at 16.55 hrs. and the Train will reach at Kolkata at 15.15 hrs.on the third day. On the return journey,the Express Train will start on and from 01/03/2012 from Kolkata as Train No.19607, at 11.25 hrs.on every Thursday and the train will reach at Ajmer Jn.at 05.50 hrs. 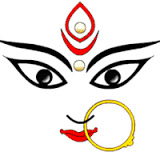 on the third day.Booking started from 19/02/2012 for Up Direction. 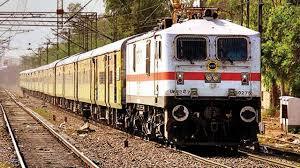 Train Name : Shalimar – Patna Tri-Weekly Duronto Express (22213 / 22214 ) : - This pair of Trains will run regularly on and from 21/02/2012 from Patna Jn. as Train No. 22214, will leave on every Tuesday,Thursday and Saturday at 20.40 hrs. and the Train will reach at Shalimar at 05.40 hrs.on the next day. On the return journey,the Express Train will start on and from 22/02/2012 from Shalimar as Train No.22213, at 22.05 hrs.on every Monday,Wednesday and Friday and the train will reach at Patna Jn.at 06.40 hrs. on the next day. Train Name : Howrah – Mysore Weekly Superfast Express (22817 / 22818 ) : - This pair of Trains will run regularly on and from 24/02/2012 from Howrah as Train No. 22817, will leave on every Friday at 16.10 hrs. and the Train will reach at Mysore at 05.00 hrs.on the third day. On the return journey,the Express Train will start on and from 27/02/2012 from Mysore as Train No.22818 at 00.30 hrs.on every Monday and the train will reach at Howrah at 14.50 hrs. on the third day. Train Name : Santragachi – Mangalore Weekly Superfast Vivek Express (22851 / 22852): - This pair of Trains will run regularly on and from 25/02/2012 from Mangalore as Train No. 22852 will leave on every Saturday at 22.45 hrs. and the Train will reach at Santragach at 17.50 hrs.on the third day. On the return journey,the Express Train will start on and from 01/03/2012 from Santragach as Train No.22851 at 16.05 hrs.on every Thursday and the train will reach at Mangalore.at 09.45 hrs. on the third day.